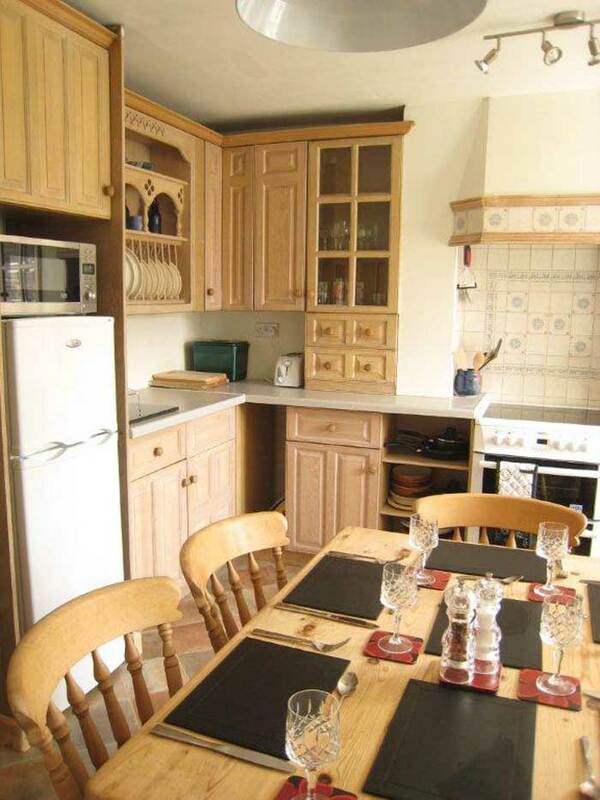 Self catering accommodation Chesterfield near Derbyhshire Dales, Peak District, Chatsworth. Click the pictures to enlarge. More pictures on the photos page. The entrance to the Pottery Flat is just off Chatsworth Road on Hipper Street, Brampton, Chesterfield. 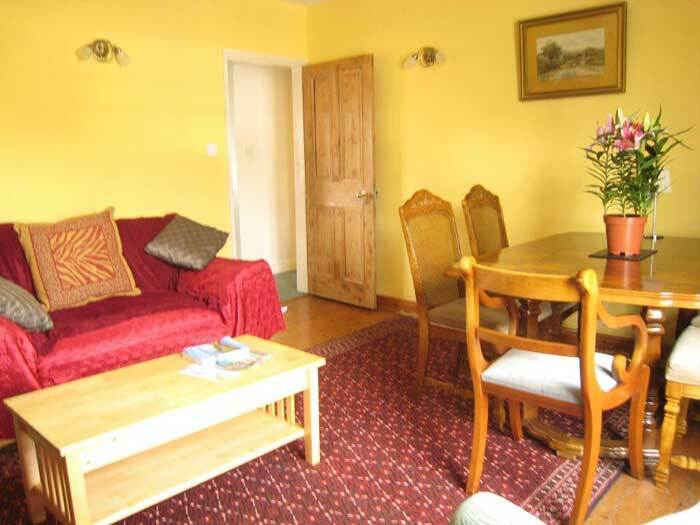 The whole apartment is bright and welcoming, and is fully equipped as a home. It is central heated by a gas combi boiler in most areas, and there are portable oil filled radiators for extra comfort. 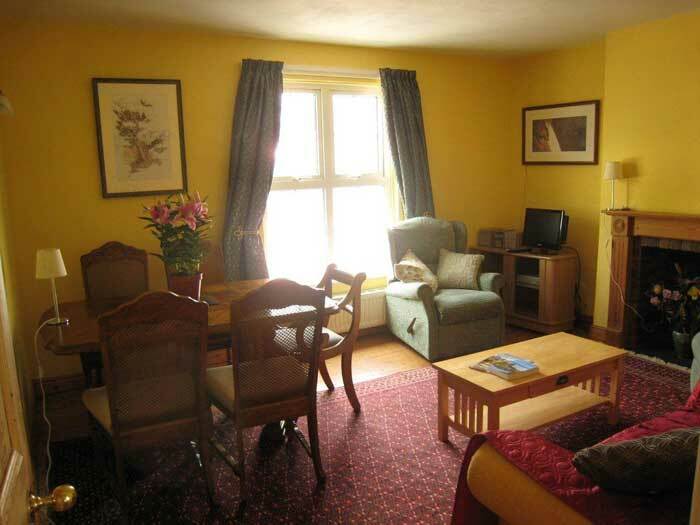 There are artworks on the walls of most rooms, by local artists and members of Peak District Artisans, as well as solid wood furnishings and attractive, rich textiles. A short flight of stairs takes you to a small landing. 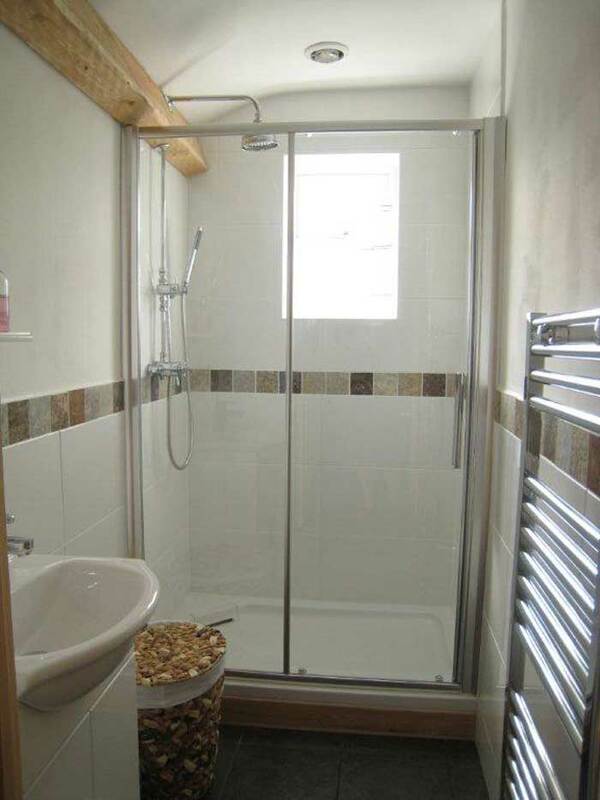 The shower room has a large spacious shower with a large shower head and a wand shower, so that children can be bathed as well as adults. 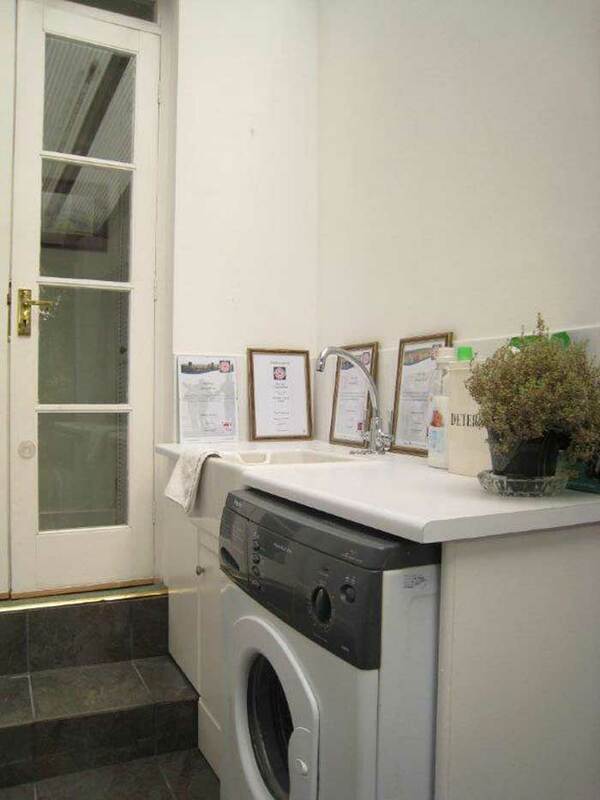 It has a heated towel rail and wash basin unit with mirror and shaving point. 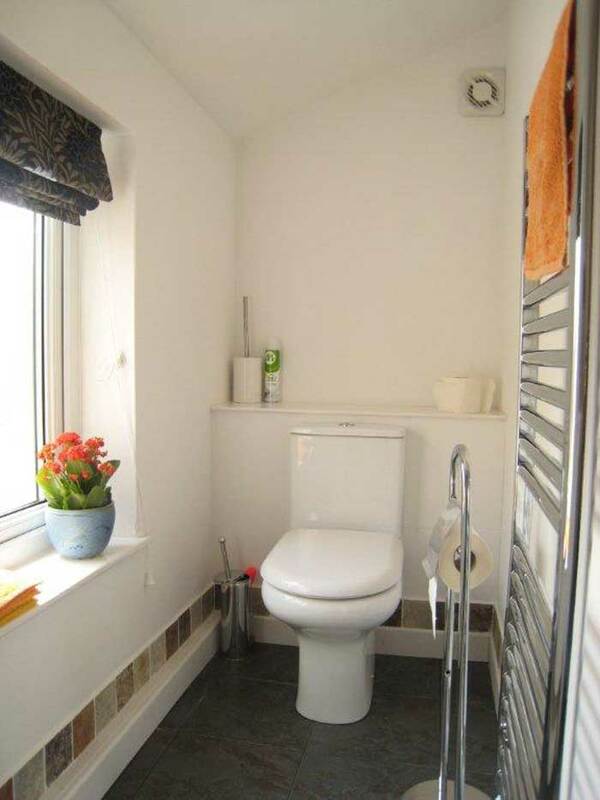 The separate toilet also has a heated towel rail, wash basin unit and mirror. The washrooms are attractively tiled throughout. From the first landing you also access the spacious single room. 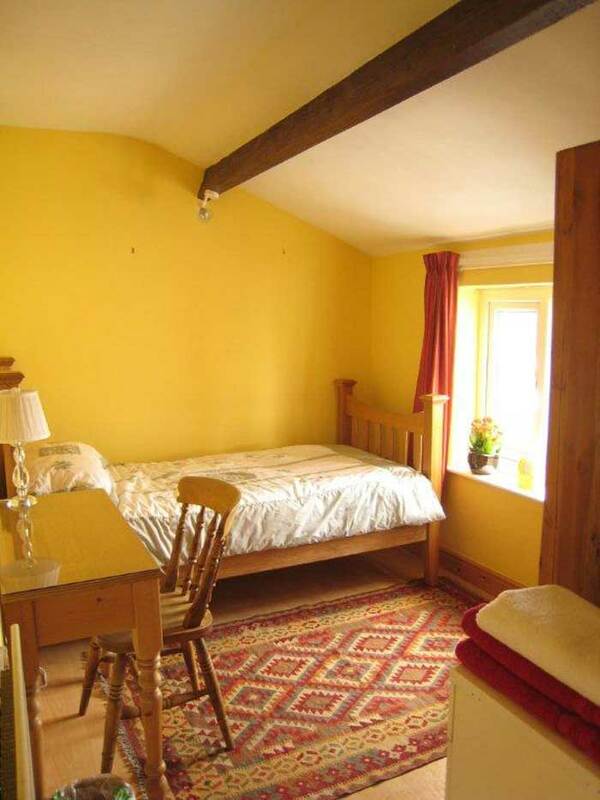 It is comfortably furnished with a chest of drawers, a double wardrobe and an oak framed single bed, and a desk and lamp. Up three steps and the further four rooms come off the landing. 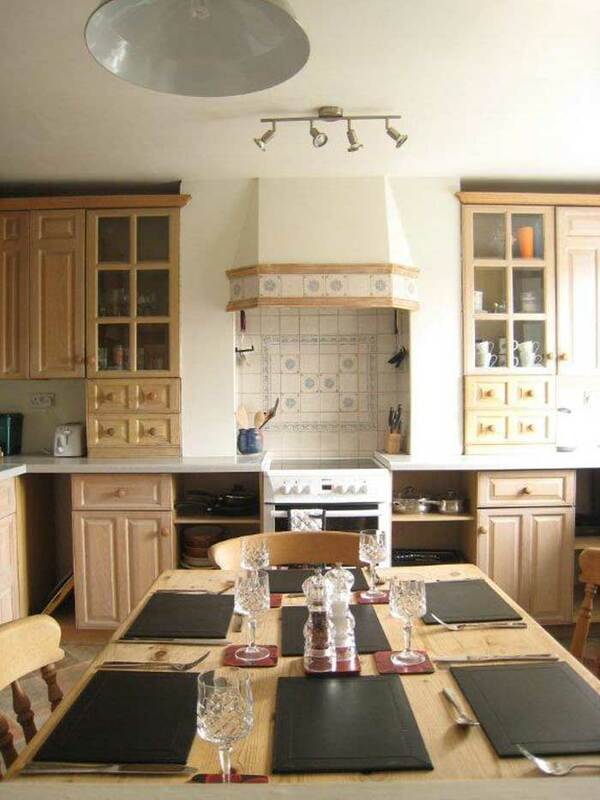 To your right is the fully fitted and equipped kitchen with fridge freezer, microwave oven, ceramic hob with grill and a large oven. There is a plentiful supply of equipment for cooking. Tea and coffee and sugar are supplied. 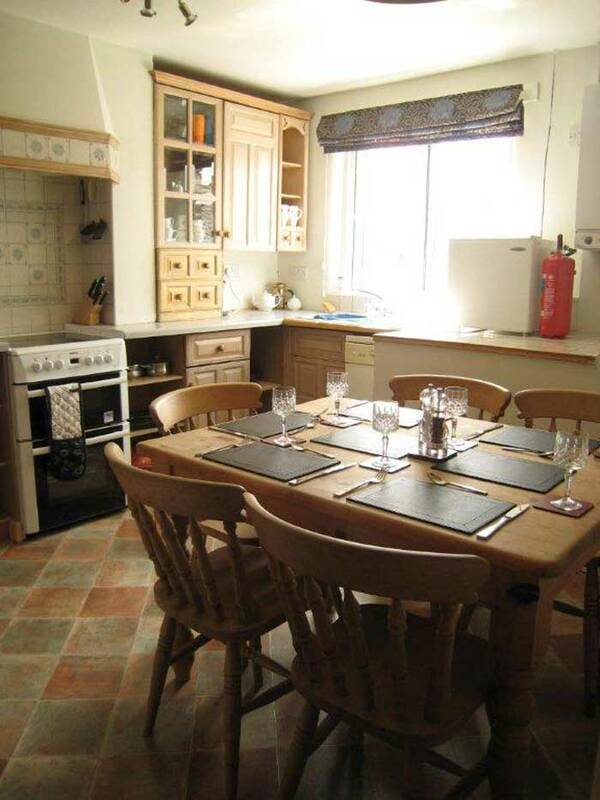 Meals can be taken at the kitchen table. 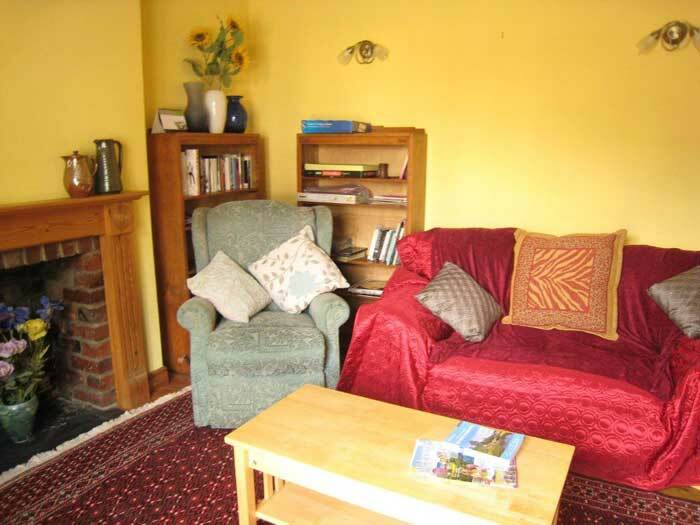 The sitting/dining room has a comfortable settee and two reclining chairs as well as the dining table and chairs with space for five or six people to dine comfortably. There is a flat screen television with freeview and DVD player, and a CD player and radio. Wi-fi is available for free. The books and games on the shelves are for the use of the guests. 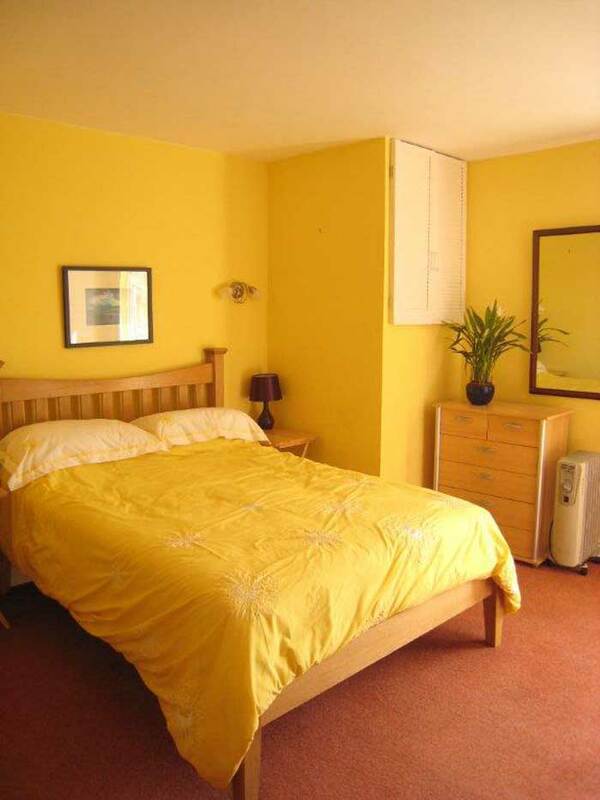 The spacious twin bedded room has ample storage/wardrobe space, two single beds, two chairs and chests of drawers, a chandelier and bedside lamps. 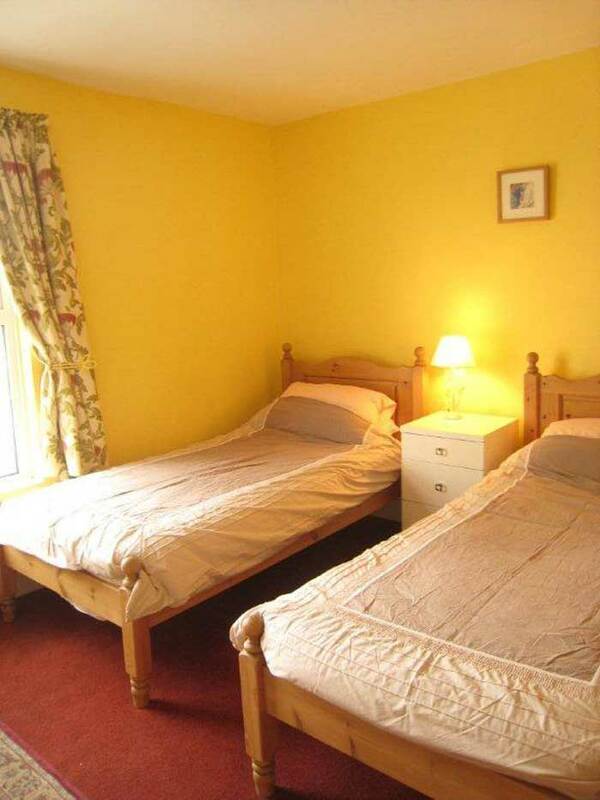 The double bedroom has a handsome double bed, ample wardrobe space, a desk, chairs and bedside lamps. Chatsworth Road is the most up-and-coming area for boutique shops and cafes in Chesterfield, and also boasts several restaurants and delicatessens, such as Nonna’s, across the road from the flat, well as the excellent Northern Tea Company for fresh roasted coffee and finely blended teas. More pictures on the photos page.